When my face start breaking out for no reason, this is when I know I have to clean up my make-up brushes. Sephora have this deep cleansing shampoo for make-up brush for $6! Yes people.. $6 for the bottle. I thought this shampoo does a decent job cleaning up my make-up brush. Directions? Piece of cake. 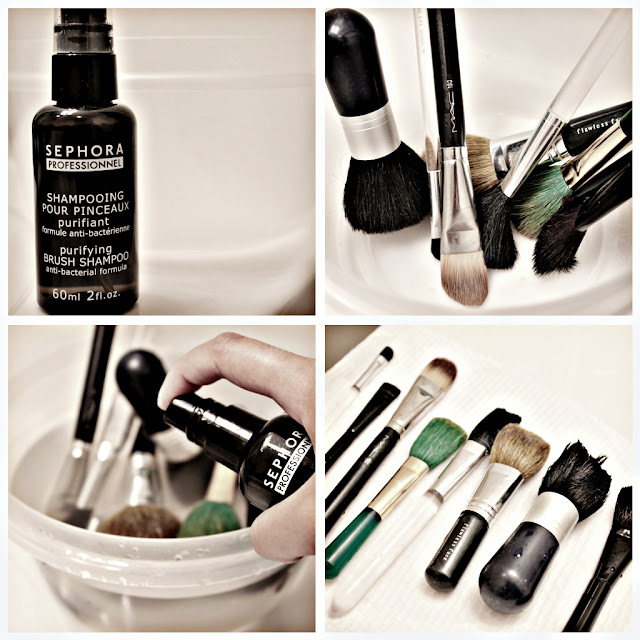 Collect your brushes in a bowl/plastic container. Add lukewarm water to soak the brushes. Add few pumps of the cleanser. Rinse and leave it on top of paper towel to dry.